Imagine that after working very hard; payday comes, and you finally get the money you deserve. You get the serious things out of the way such as bills or debts and when you count what’s left, you’re lucky if you can buy yourself some socks. But, where did all the money go? 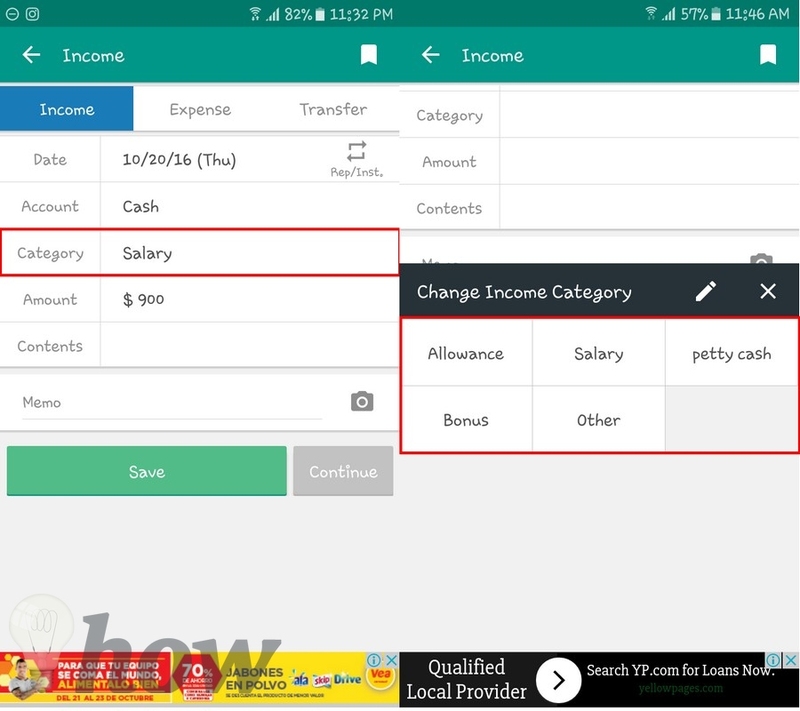 Instead of trying to remember every little thing you bought, why not keep track of your expenses from now on using the best mobile finance apps that will help you take register right down to the last candy bar you purchased and manage your money better. With Money Manager, not a single dime will get past you without you knowing what you spent it on. The app may look confusing when you open it, but once you get the hang of it, you’ll wonder how you ever did without it. To add income to your balance, tap on the orange circle and select Income. Once you’re there, you can add all sorts of details such as where the revenue is coming from, whether it’s Allowance, Salary, Petty Cash, Bonus or other. Money Manager also lets you register down to the very last details of your expenses, whether you spent your money on Food, Social Life, Household, Gifts, Clothes, etc. You can register how much you spent and the exact contents of your purchase, so that way you know if you have the tendency of buying things you don’t need and that aren’t good for your health anyway. Keeping track of the money you transfer from one account to another is also easy since Money Manager has a section for that too. You can keep notes on who the money was transferred to, the amount and also add any notes you need to add. 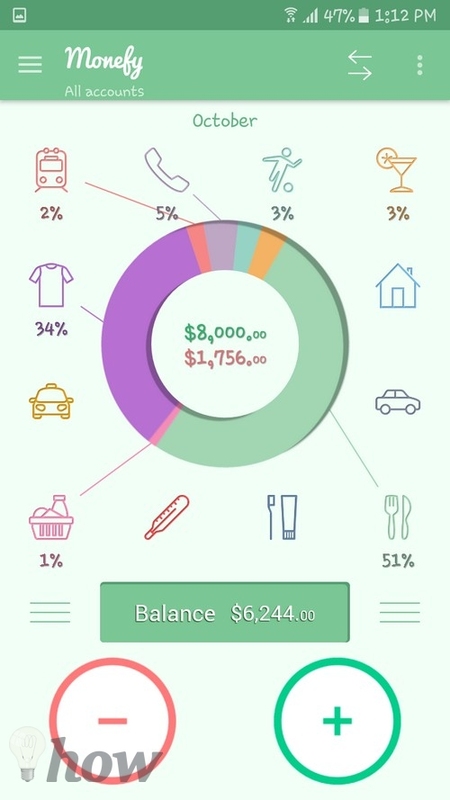 A money managing App would not be complete with a stats section where you can see with graphics where you get your money comes from and where it goes. 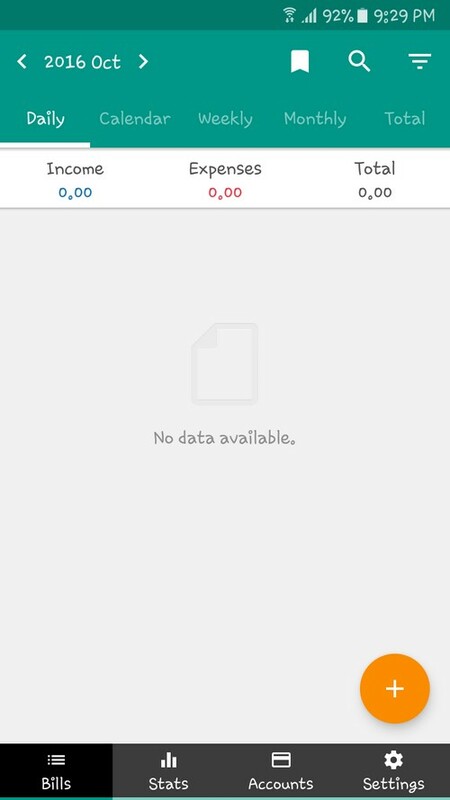 The app also offers different ways to view your earnings. You can either view your data in Daily, Calendar, Weekly, Monthly or Total view. 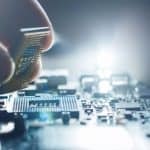 It’s no secret that apps have a tendency to crash or stop working altogether, in that case, it’s important that you back up all your information, just in case. 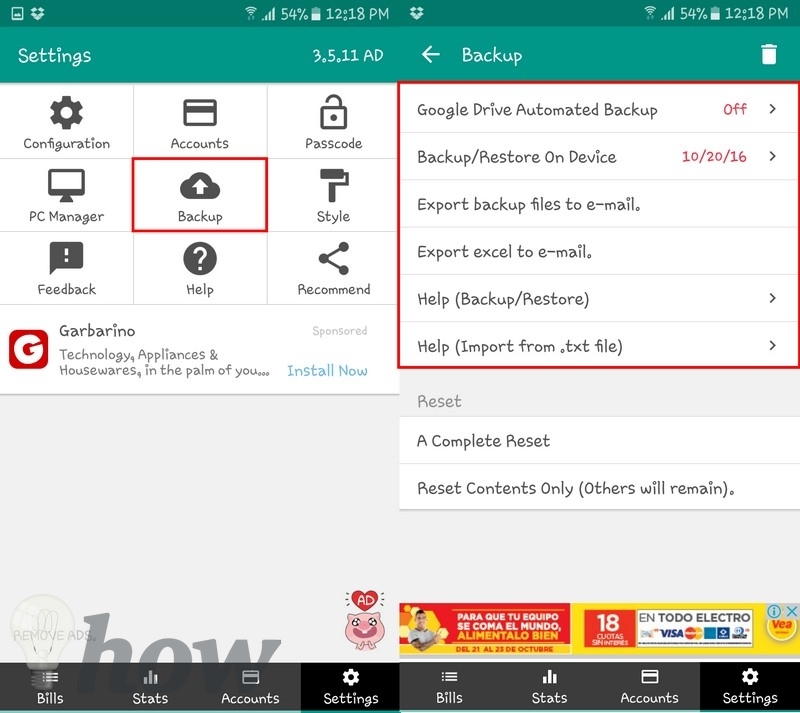 You can backup your data by going to Settings > Backup > Choose how you want to backup your data. You can either automatically backup your data through Google Drive, Backup/Restore on Device, Export backup files to Email, or Export Excel to Email. Money Lover is another excellent choice to keep your money under control. The UI may not be as nice as the previous app, but it gets the job done. 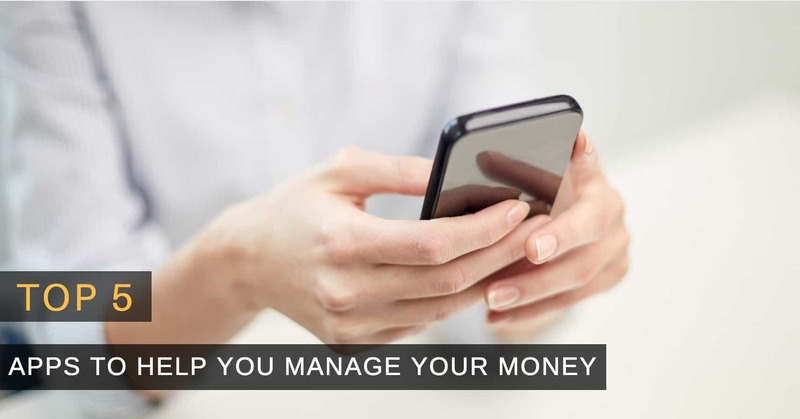 The app offers you three kinds of wallets, you can either register your income and expenses if you only manage cash, only bank transfers or both. You get the same money controlling features for all three wallets. 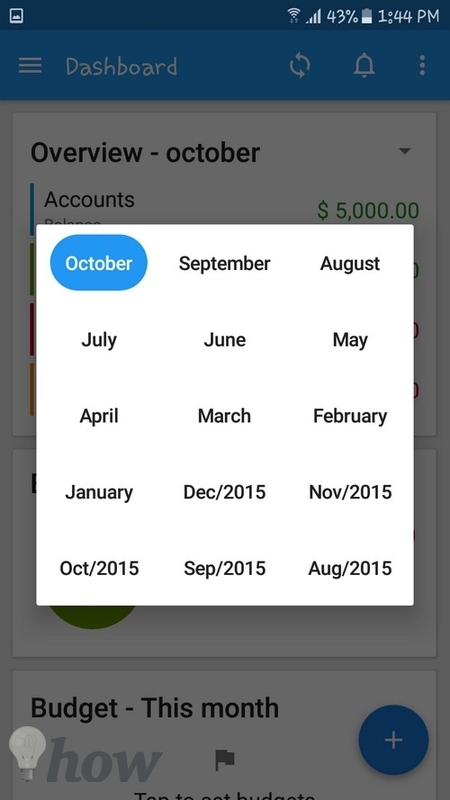 The app can show you your transactions in three different ways, such as last month, this month and future. As you can see, it’s an app with fewer options, but if you’re looking for a money managing app that keeps things simple, then this is an excellent choice. 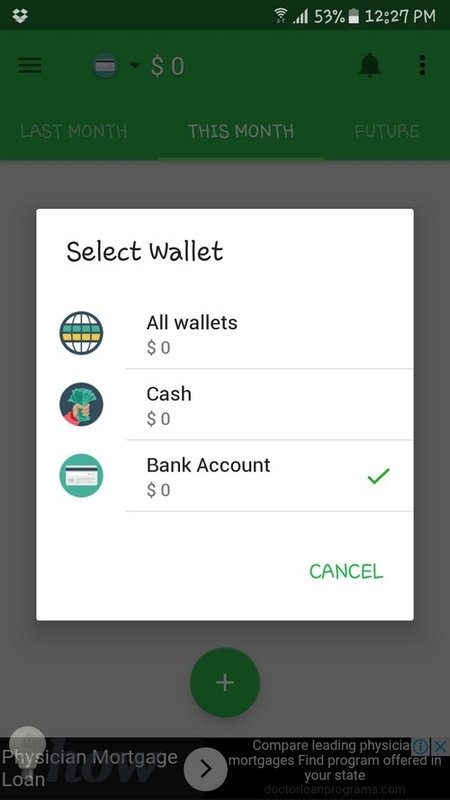 To add a transaction, just tap on the green circle and add information such as category (whether the transaction was for a bill or transportation), Notes, if it was cash or bank account, and when the transaction was made. 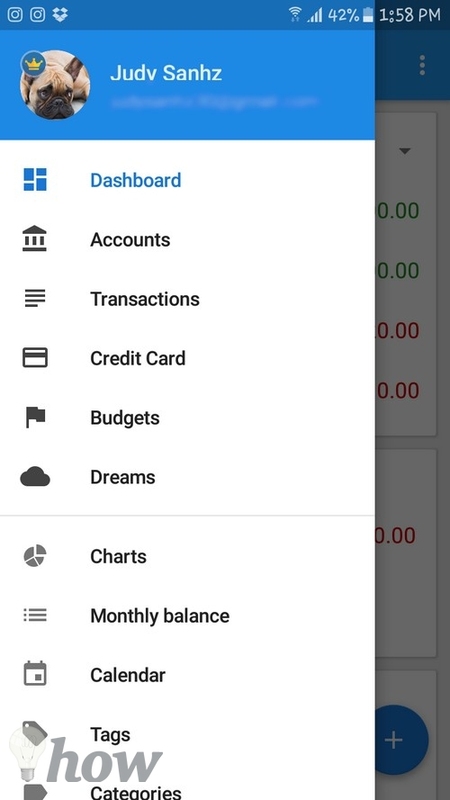 If you tap on the hamburger icon, you will gain access to the apps features where you can also keep track of any debts you have, or debts others have with you. 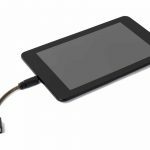 You can add those debts in the tab they belong in, whether it’s Payable or Receivable. I thought it was cute that in the receivable debts, the app adds a happy face before any due debts are added. I mean, who doesn’t like receiving money, right? 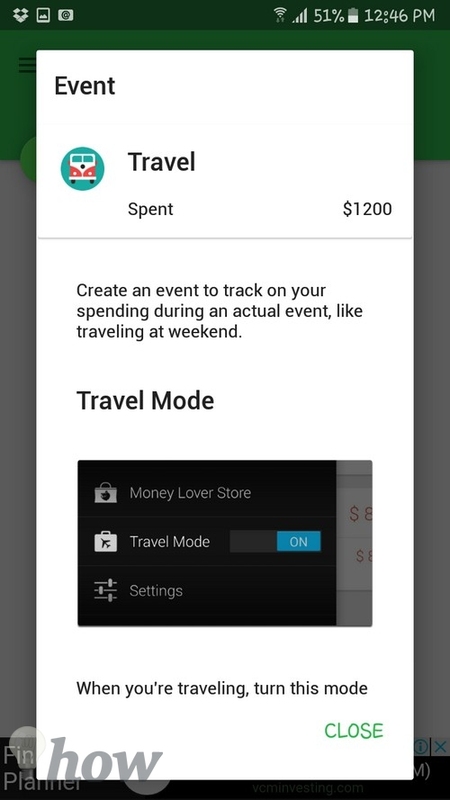 A great feature that this app has that the previous one didn’t, is being able to keep track of your expenses for an individual event. For example, let’s say you and some friends are going to go to Cabo San Lucas, Mexico for the week, but you can only spend so much money. Don’t worry, with this feature you will be able to keep track of every single dime or should I say Peso you spend and you will also know when you’re about to go over your budget. Don’t forget to turn this mode on as soon as you get on the plane! You can also set a budget for individuals categories or for all of them if that’s what you need. The app also lets you set a time range for budgets, and you can either choose from this month, this quarter, year, next month, next quarter, next year or create your own custom range. Another great feature you’re going to love is Savings, it allows you to keep track of things such as the kid’s college fund and how much you’re putting in it. You’ll see two tabs, a running tab, and a finished tab. Monefy also has a pretty straightforward user interface that’s easy to understand. Adding income or bills since the only thing you have to do is tap on the minus sign for bills (very appropriate) and the plus sign for money coming in. The app also has a widget that you can add to your lock screen or home screen, I tried this out, and it worked just fine. The app offers other great features such as passcode protection, Budget mode, let’s you choose what currency you want to work with and built-in calculator and no ads! (features you won’t find on other apps). Monefy also lets you synchronize your data with your Dropbox account, so you always have a copy of everything. 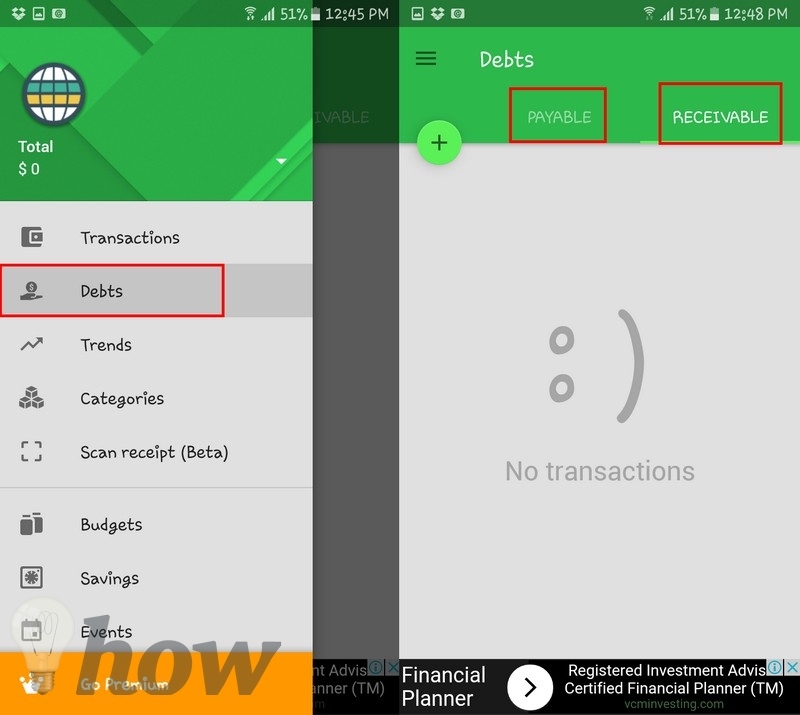 Mobills Budget & Money Manager is another very popular app on Google Play that will help you manage your income and bills. With this app, you get easy to read charts, an easy to use widget, Email alerts when a bill is almost due, credit card management and you can also attach files and pictures to help you better manage your bills. This is a great feature for that friend you usually buy things for and pays you later (hopefully), so if they ever say that they don’t remember that thing you bought for them, you’ll now have a picture to refresh their memory. 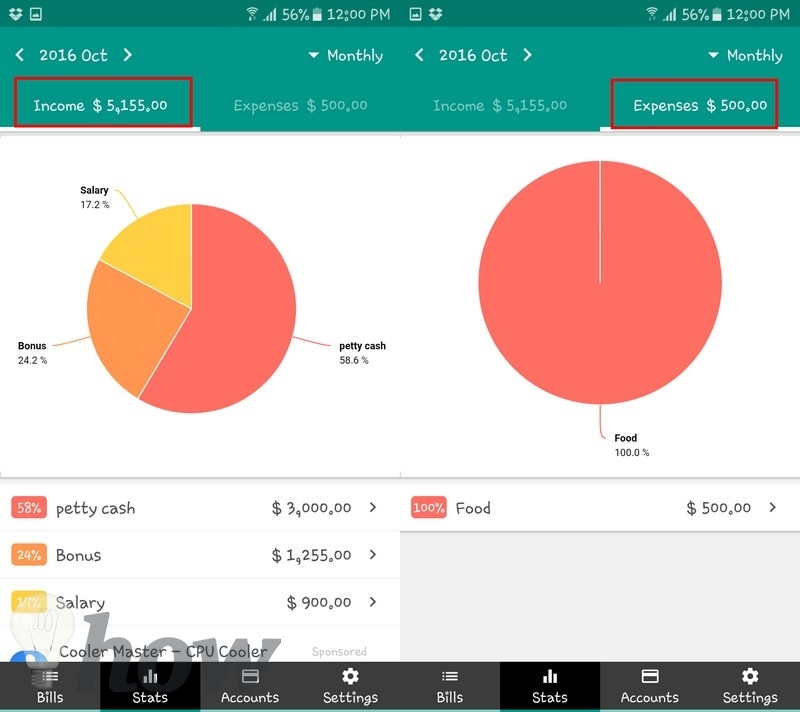 The app only shows you your expenses for the month and not weekly like others, but it does give you easy access to that information. Just tap on the upside down pyramid and choose the month you want. Last but not least, there’s Walnut Money Manager. Out of all the apps I tried out, I found this one to be the most different. First of all, it has a feature where you can split expenses with a friend and where you can send free money transfers to friends, you will need to verify your phone number for that. 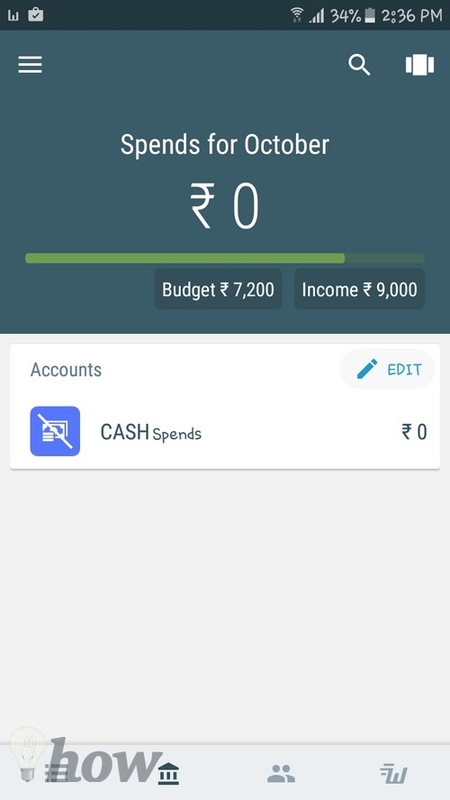 The app also suggests a budget for you to follow when you add your income, but it’s up to you if you want to follow it or create your own.The app can also detect what you spend from the messages you get from the bank you use. In Settings, you can program when you want the app to remind you that a bill is almost due, among other things. The app has one million downloads if it has that many it must be for a reason. Keeping track of how you spend your money is vital since you never know when you might need to grab some of your saving for an emergency. With the apps mentioned above, you won’t have any problems registering all your expenses and your income so you can save as much as possible. Now, the hard part is choosing which app you’re going to use. Let me know which one you chose in the comments.